Anyone who’s followed me over the past few years will know how much we love a themed afternoon tea. 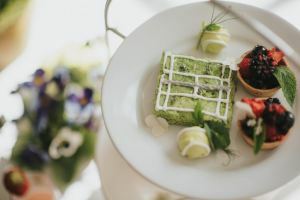 Over at Healing Manor Hotel we’re celebrating all things British with a new take on Wimbledon afternoon tea. 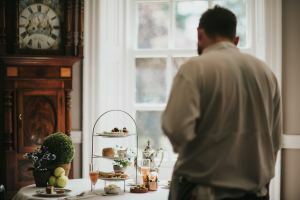 Designed by my Junior Sous Dan Parkes, styled by my partner The Creative Larder and photographed by Elizabeth Clarke, we’ve teamed up with the gin boffs at Silent Pool for a quintessentially British and tennis inspired tea. 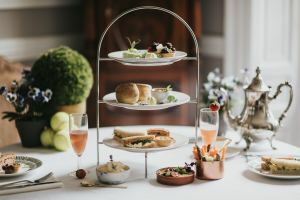 Wimbledon Afternoon Tea is served in The Portman Restaurant at Healing Manor, a restaurant named after the famous London based family, The Portman’s who once owned Healing Manor in the early to mid 1900’s. Sit back in our sun-lit restaurant-dining room and enjoy finger sandwiches including; Scamans Egg Mayonnaise and coronation chicken. Other savouries include pork pie and summer tart packed with aubergine, courgette and sweet ripened tomatoes. To finish off the pastries there’s a vibrant pea hummus with a selection of summer vegetable crudietes sourced from our vegetable producers right here in Lincolnshire. 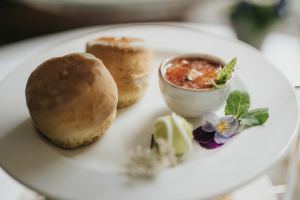 Sweets kick off with an orange blossom scone served with clotted cream and Pimms jam. 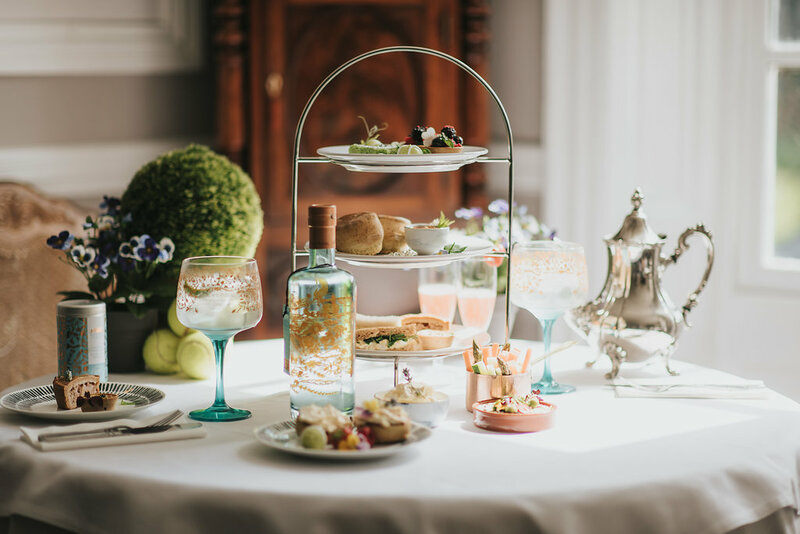 This is followed by a strawberry bellini jelly, elderflower and pistachio tennis court cake, white chocolate tennis balls and a glazed fruit tart. 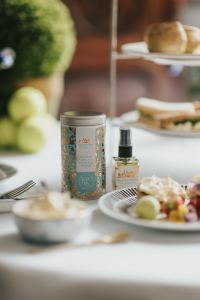 Wimbledon afternoon tea is served with Stokes of Lincoln Tea or coffee or you can upgrade with a Silent Pool Gin & Tonic or beverage of your choice. 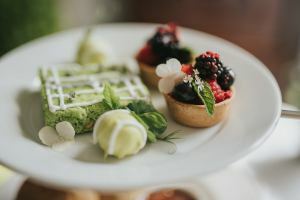 Gluten free, vegetarian and vegan Wimbledon afternoon tea is also available when booking in advance. Our Pistachio and Elderflower cake has been made with elderflower picked from our gardens at Healing Manor. The elderflowers have been boiled with citric acid, water, lemons, and sugar which is boiled and reduced down to a syrup. The elderflower syrup is then drizzled over the baked pistachio polenta sponge, making it not only deliciously sweet and seasonal, but gluten free!